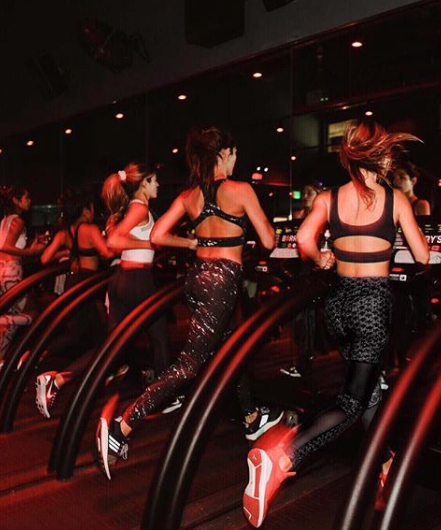 From Barry's Bootcamp to Soulcycle, which is right for you? Are you the type of person who struggles to work out solo, mainly to wander around a gym with no direction? Do you like to work out in a group setting where someone tells you what to do, while surrounded by others going through the exact same experience. If this sounds like you, you may benefit from taking a group fitness class. Whether you like to stick to one type of class like yoga or indoor cycling or you like to mix it up with Class Pass, there are endless types of classes and gyms to choose from. I tried out eight of the current most popular fitness classes and break it down so you know exactly what to expect and maybe it will help you start on a new fitness journey that you truly enjoy and want to stick with. Here's how I fared — from the invigorating to the most sweat-inducing.